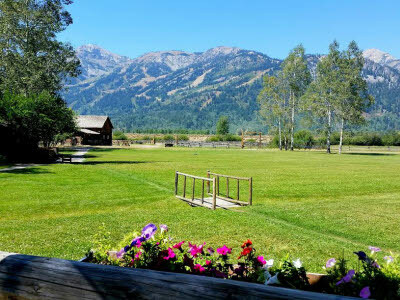 For decades, families from Chattanooga, Atlanta and even overseas have traveled to the R Lazy S Ranch in Teton Village, Wy. 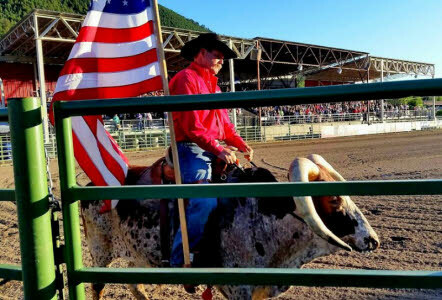 to live the cowboy life and get away from it all, if only for a week. 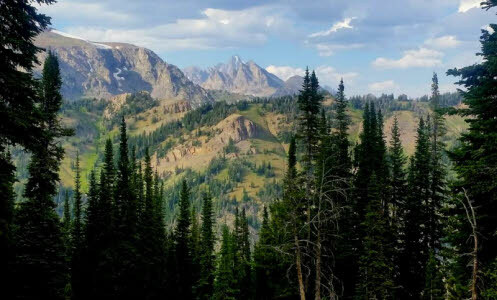 This past summer, I had the opportunity to spend time there, and it was truly an amazing experience. Guests arrive on Sunday and stay for a week or sometimes two. 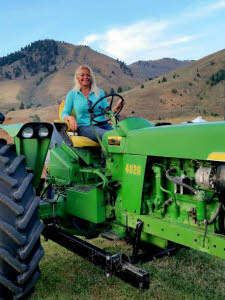 On Sunday evening, there is a welcome cocktail party to mingle with guests, staff and the friendly accommodating ranch owners, Kelly and Nancy Stirn. 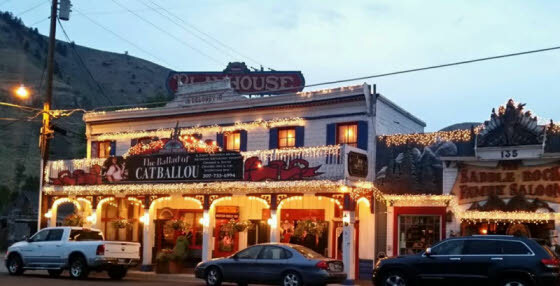 Many guests have been booking the same week every summer for years, and they look forward to catching up with old friends and returning guests and employees. Many of them proudly wear their 10, 20 and even 30 year anniversary ranch belt buckles! A surf and turf dinner follows the cocktail party with huckleberry ice cream for dessert. 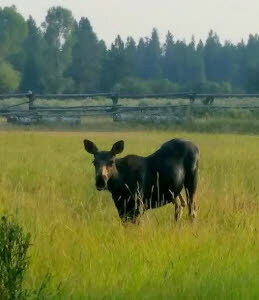 Meals at the ranch are sumptuous and include full hot breakfasts (think smoked Idaho trout, wild rice pancakes, eggs to order, French toast or homemade scones), and healthy lunches with salad bar, homemade soup and sandwiches, hot entrees and more. 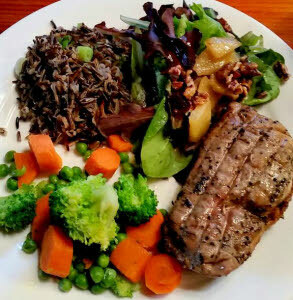 Dinners are simply prepared, healthy and delicious gourmet food. 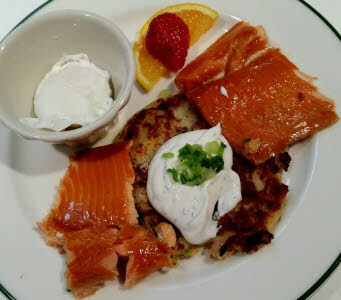 They serve beef and bison tenderloin, duck breast, lamb chops, chicken picatta, an international buffet on Wednesdays, and an amazing seafood buffet on Fridays with crab legs, scallops, shrimp, Mahi, Sea Bass or other fresh fish. Freshly baked cookies are always available. 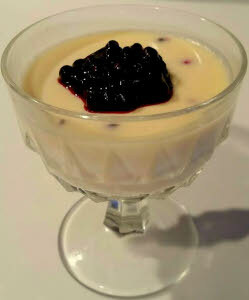 Desserts are homemade and include chocolate lava cake, ginger panna cotta, Tiramisu, peach cobbler and more. On Monday mornings, guests get riding assessments and are introduced to their horse for the week. 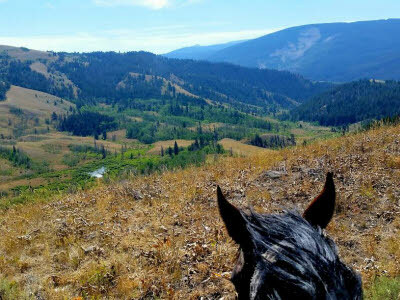 During the week, there are morning and afternoon rides each day (2-3 hours), all day rides with sack lunch, team penning on Fridays, and even tag games and Saturday gymkhana on horseback for the kids. 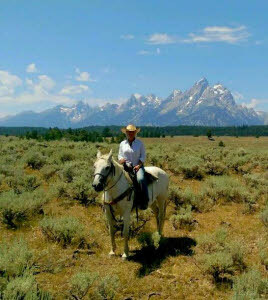 The seasoned wranglers know the horses and terrain well and provide safe, entertaining rides. 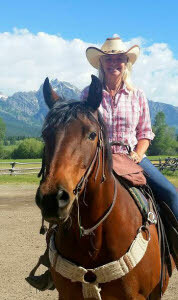 Every age and skill level is accommodated by the ranch and its sure-footed, well cared for horses. 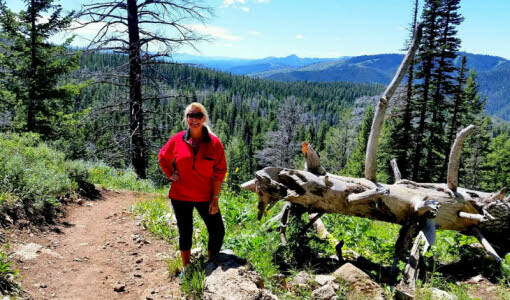 On Tuesdays, there are early morning and afternoon nature walks to introduce guests to local flora and fauna. 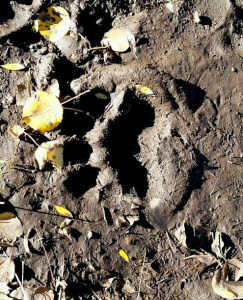 In September, you might just see a bear! 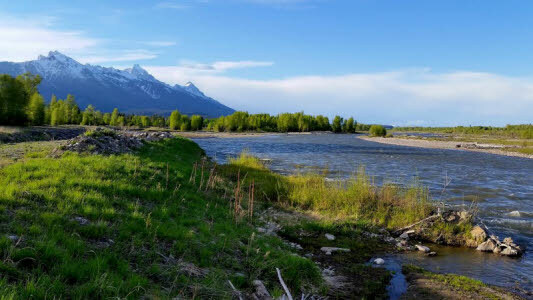 The Snake River and Grand Teton National Park, both adjacent to the ranch, provide opportunities to see all sorts of wildlife and even go fly fishing. 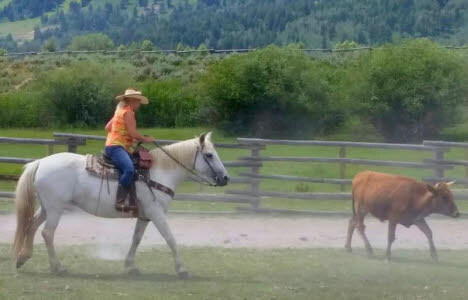 Even non-riders can find plenty to do at the R Lazy S Ranch! 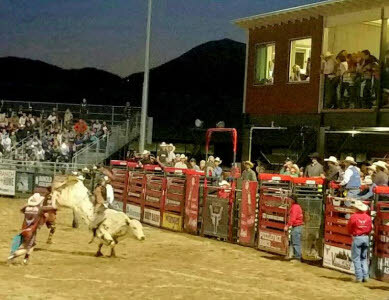 Off ranch activities for guests are Wednesday trips to Jackson Lake with a ski boat and tubing available, and the evening rodeo in nearby Jackson (12 miles) where you can see professional bull and bronc riders. 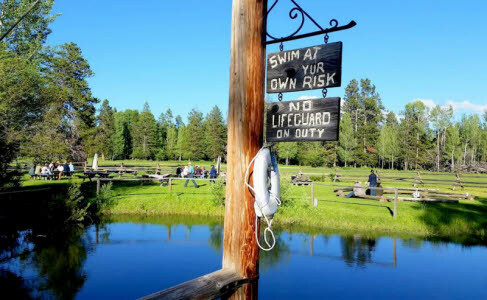 On Thursday night, there is a fun hayride around the ranch, ending in a field where a cookout takes place near the swimming hole. There are fall off the bone ribs, steak, beans, slaw, cornbread, brownies and more, followed by S'mores around the campfire. On Fridays, guests and ranch staff participate in Team Penning near the corral, taking turns trying to herd cattle from one end of the ring to the other and into a pen, while a clock times them. Its lots of fun but can also get a little competitive, and the winning teams are acknowledged at the Friday night talent show. Tears are not uncommon as guests and kids realize that their wonderful ranch vacation and memories of a lifetime are coming to an end. 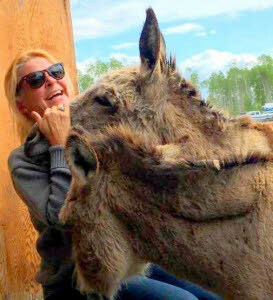 The ranch has three adorable donkeys that graze in a pasture near the corral and merely serve as ranch mascots. 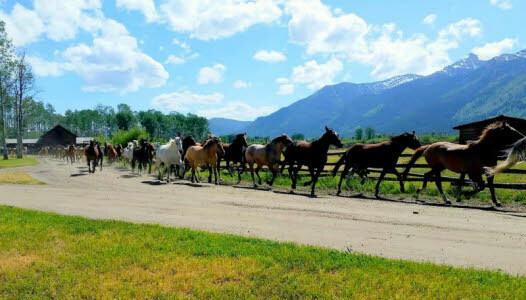 Every afternoon, the 70 or so beautiful horses are wrangled out to pasture for the night, and the experience of watching them thundering down the road as they leave the corral is a sight to see! 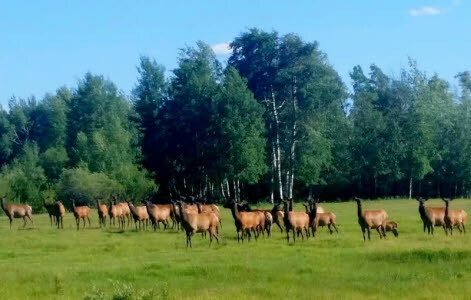 In the mornings, you might be awakened by the sounds of wranglers herding the horses back to the corral... unless bugling elk, squawking geese or howling coyotes don't wake you up first. 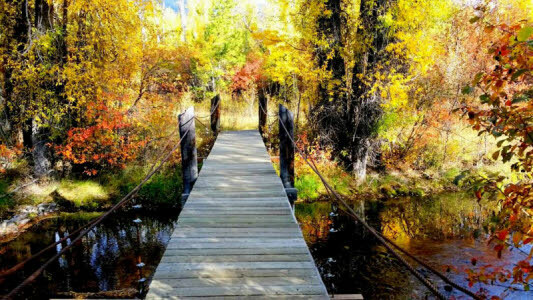 The change of seasons on the ranch in September means gorgeous Fall colors, more wildlife sightings and even snow! 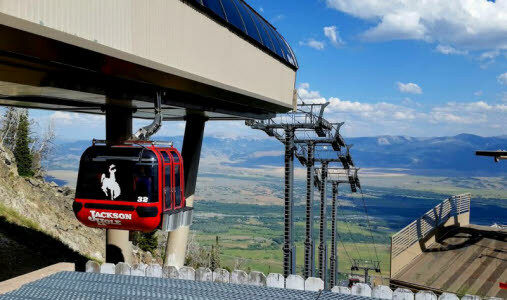 The ranch is just two miles from Teton Village, providing guests the opportunity to attend the Grand Teton Music Festival, have a cocktail, ride the gondola or tram up Rendezvous Mountain, shop, attend an artist's reception, or hike the wildflower covered hillsides and enjoy breathtaking views of the valley below. 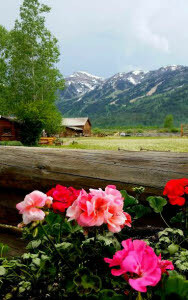 There is snow at the top throughout the summer! 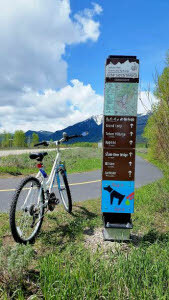 Bike paths in the area are paved and run for miles along the Teton Mountains and around Jackson Hole. 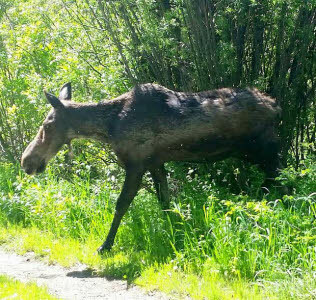 It's not uncommon to see horses, cattle, moose, coyotes, elk, bison and even bears in the Jackson area while cycling, hiking or riding horses. 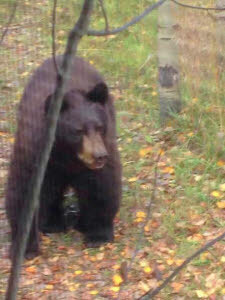 Carry your bear spray! 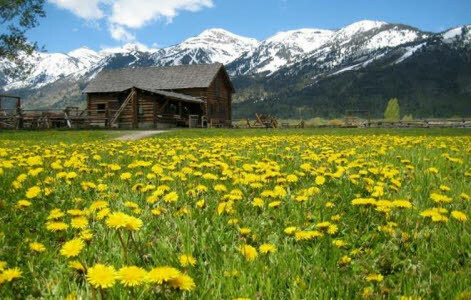 Lodging at the ranch is provided in 14 cozy log cabins of varying sizes and prices, rustic but with all the modern amenities. 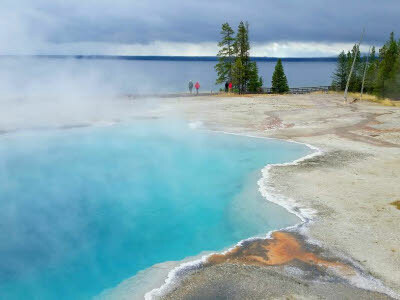 You will have a screen door, porch, fireplace or wood stove, amazing views, modern bath with hair dryer and fluffy towels, reliable Wifi, comfy beds with beautiful Pendleton blankets, coffee makers, hanging baskets or window boxes with flowers and maybe even a hummingbird feeder if you're lucky. Guests often enjoy cocktails on their porch before dinner and after a long day of riding. Three times a day, the bell is rung to summon guests to the lodge for meals. 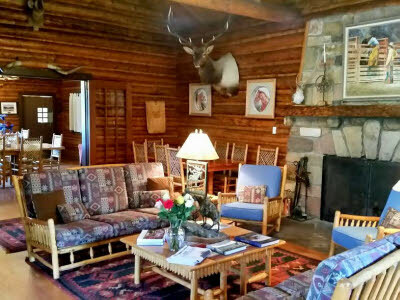 After dinner, guests congregate in front of the lodge fireplace to play cards or games, enjoy a glass of wine or even to watch or participate in the weekly talent show on Friday nights. 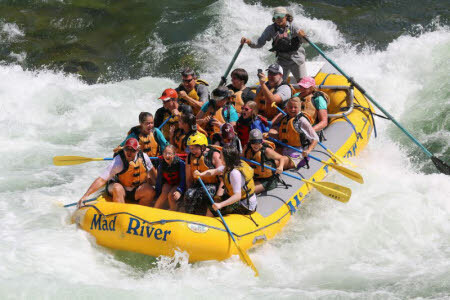 There is a Kids Counselor to entertain children from June through mid-August, then it's adults only for the last few weeks until early October. 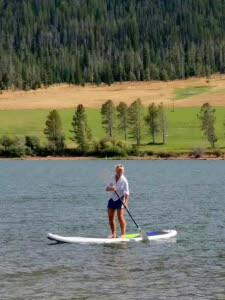 When I wasn't on the ranch or riding horses, I took full advantage of nearby attractions, attending lectures on Bear 399 and Yellowstone, going to Elkfest, Brewfest and art openings in town, touring Historic Miller Ranch and Mormon Row, attending the Ballad of Cat Ballou musical at the Jackson Playhouse, whitewater rafting on the Snake River and touring Yellowstone for two days en route to to Montana and back. 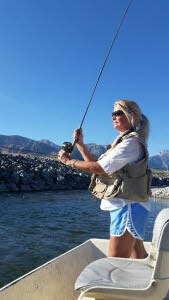 I went fly fishing in a drift boat, attended the Taste of Jackson food and wine event, and a party at Lockwood Ranch Cattle Company. 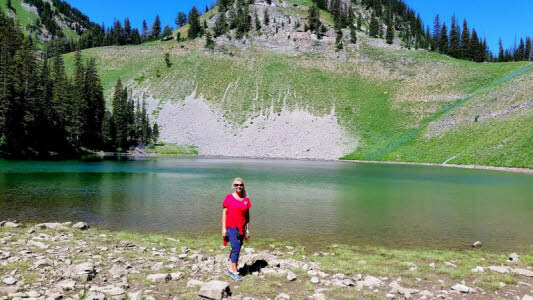 I enjoyed the Jackson rodeo and paddle boarded on Slide Lake, watched an outdoor Shakespeare performance and hiked trails at Snow King Mountain, Ski Lake, Caspar Ridge Loop, String Lake, Phelps Lake and more. 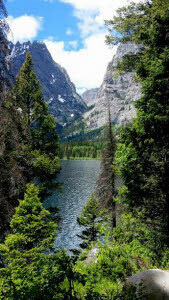 The miles of trails and access to adjacent Grand Teton National Park provide limitless excursions. 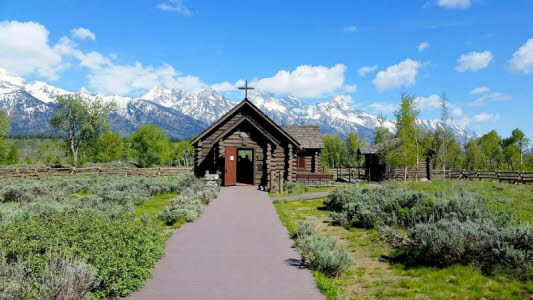 I rode my bike 20 miles round trip to attend a Sunday service at the historic, rustic Chapel of the Transfiguration where they take up the collection in a cowboy hat! 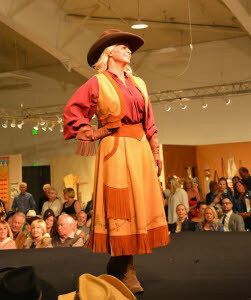 I even got to model in the Western Design Conference Fashion Show! 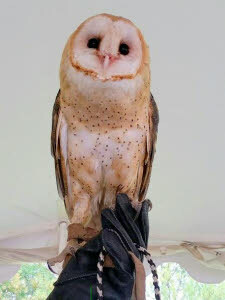 I also spent a fascinating afternoon at the Teton Raptor Center. 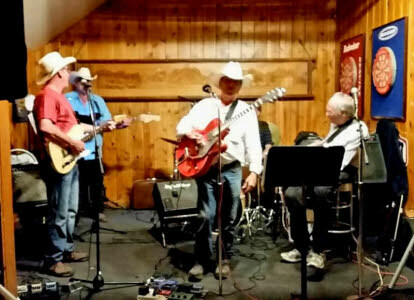 A chuckwagon dinner or a drink on the roof deck at Dornan's is another stop not to be missed, along with Sunday “church” as the locals call it, (dancing to a live band) at the Stagecoach Bar in the nearby town of Wilson. 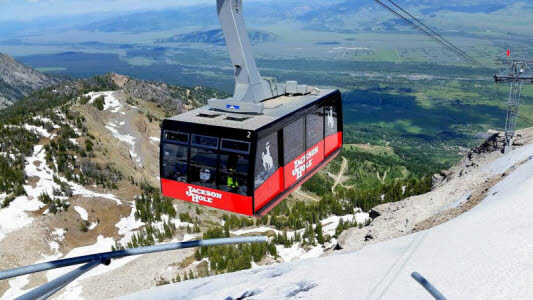 While you're there, drive over the steep Teton Pass to cross the Idaho state line, but not while drinking! 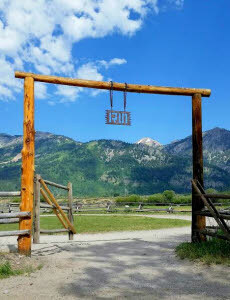 When to go: the ranch is open to guests from early June until early October. 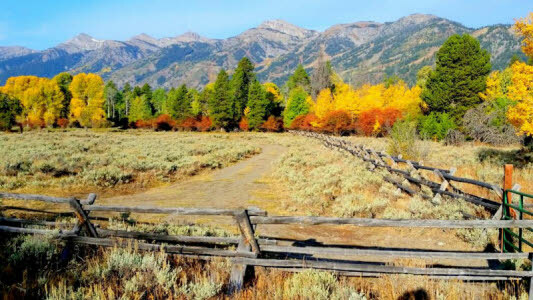 Rates are all-inclusive for lodging, 3 wonderful meals a day and all ranch activities, and range from $1,750-$2,583 plus gratuity and 2.6% tax, per person/per week (subject to change in 2017). Getting there: Delta has a flight that leaves Chattanooga around 6:30 a.m., connects through Atlanta and Salt Lake City, and gets you to Jackson, WY (JAC) around lunch time with the two hour time difference. 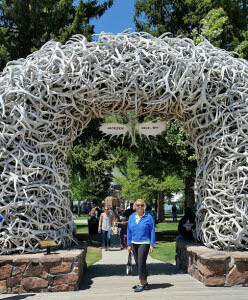 The ranch provides complimentary airport pickup or you can rent a car if you plan to do some off-ranch excursions or a side trip to Yellowstone.